Windows 8 seems to finally be getting off the ground thanks to the latest update (8.1). 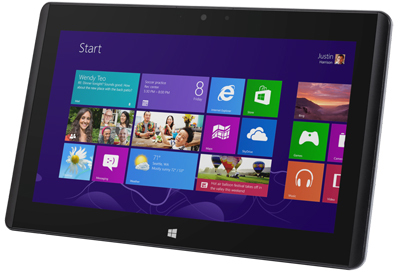 Dell, Toshiba, and Sony are among many OEMs to launch Windows tablets in the past months. They all have something in common though – Intel processors. 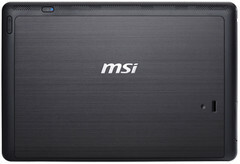 But MSI is taking a different approach with its new W20 3M tablet which is powered by an AMD CPU. The new tablet features an 11.6-inch 1366 x 768 ISP display with 178 degree viewing angles, a dual-core 1 GHz AMD Temash A4-1200 processor, AMD Radeon HD 8180M graphics, 2 GB of RAM, 64 or 128 GB of internal storage (eMMC), a 720p front-facing camera, Ultra Range 802.11 b/g/n wifi, Bluetooth 4.0, a microSD slot, a fingerprint scanner, and a docking port. With business customers in mind, MSI has made the tablet quite light for its size at 688 grams (1.5 pounds) and still managed to offer up to 9 hours of battery life (6 hours of 1080p video playback). Smart covers and docking stations will also be available. Pricing and availability have not yet been announced, and more details about the device's ports and accessories aren't available yet. It will certainly be interesting to see how the W20 3M will compare with similar products from Microsoft (Surface Pro 2), Sony (Vaio Tap 11), and Dell (Venue 11 Pro).